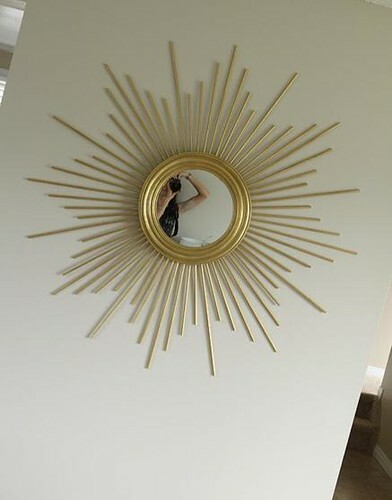 These DIY sunburst mirror projects are so creative yet so simple! I totally want to try one of these. This one started as just a big piece of wood that was cut up, sanded, and stained. 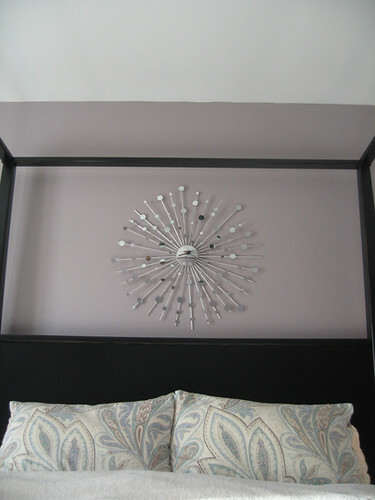 This one uses a cheap round mirror and spray painted wood dowels. 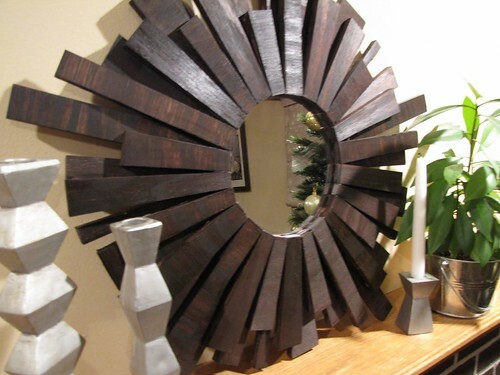 This one requires wood dowels (again), a convex mirror, and mini mosaic mirrors.